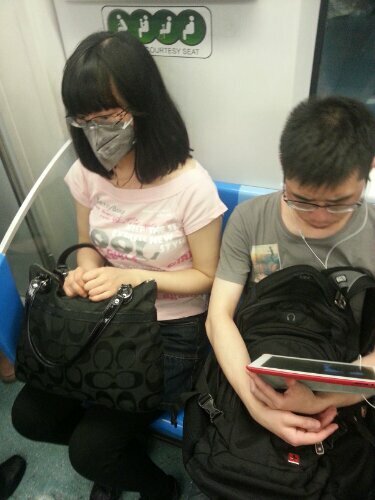 As I’m posting this post I’m also breathing in a borderline deadly combination of odors on the subway due not only to the sweltering Shanghai summer but also due to generally poor personal hygiene here on the Mainland. I would love to gift deodorant to the masses, but unfortunately it is hard to come by… and so today I’ll gaze jealously and longingly at this picture of a semi-awkward yet semi-buffered subwayer, and in the future I will consider such options… cause you can’t really change others (especially millions and billions of Chinese people), but you can change yourself. Yes, bad smell but good ish… anyway, thanks for commenting!